PURE WHITE exterior and TITAN BLACK CLOTH interior, S trim. Bluetooth, ROADSIDE ASSISTANCE KIT, Alloy Wheels, Turbo, iPod/MP3 Input, Back-Up Camera. Warranty 6 yrs/72k Miles - Drivetrain Warranty; KEY FEATURES INCLUDE Back-Up Camera, Turbocharged, iPod/MP3 Input, Bluetooth. MP3 Player, Aluminum Wheels, Keyless Entry, Child Safety Locks, Steering Wheel Controls. OPTION PACKAGES ROADSIDE ASSISTANCE KIT booster cables, warning triangle, work gloves, LED flashlight, PVC tape, multi-tool, blanket, poncho, whistle, cable ties and bandages. Volkswagen S with PURE WHITE exterior and TITAN BLACK CLOTH interior features a 4 Cylinder Engine with 147 HP at 5000 RPM*. 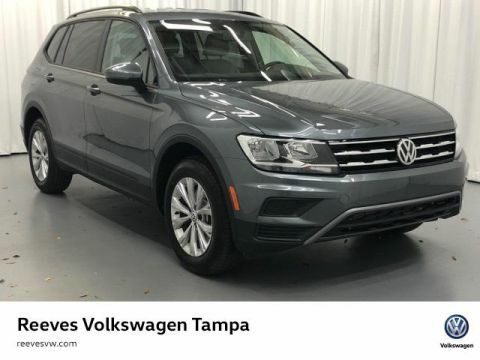 EXCELLENT SAFETY FOR YOUR FAMILY Electronic Stability Control, Brake Assist, 4-Wheel ABS, 4-Wheel Disc Brakes, Tire Pressure Monitoring System VISIT US TODAY Welcome to Reeves Import Motorcars, a family owned and operated business since 1971. On behalf of our staff, thank you for visiting us on the Web and giving us an opportunity to acquaint you with our dealership. Our commitment to perfection is exceeded only by our resolve to offer you the highest levels of guest services in the luxury automotive industry. Our professional and well trained staff is ready to assist you with your new or pre-owned automotive needs. All prices exclude any government fees or taxes,titling and registration fees, any finance charges, fees, or taxes, and a $596.20 Pre-Delivery Service Charge. Prices may include incentives dependent upon payment or purchase method. Horsepower calculations Horsepower calculations based on trim engine configuration. Please confirm the accuracy of the included equipment by calling us prior to purchase. S trim, PURE WHITE exterior and TITAN BLACK CLOTH interior. Bluetooth, Smart Device Integration, DRIVER ASSISTANCE PACKAGE, Alloy Wheels, Turbo Charged, iPod/MP3 Input, Back-Up Camera. Warranty 6 yrs/72k Miles - Drivetrain Warranty; KEY FEATURES INCLUDE Back-Up Camera, Turbocharged, iPod/MP3 Input, Bluetooth, Smart Device Integration MP3 Player, Aluminum Wheels, Keyless Entry, Steering Wheel Controls, Child Safety Locks. OPTION PACKAGES DRIVER ASSISTANCE PACKAGE Blind Spot Monitor w/Rear Traffic Alert, Heated Side Mirrors, Forward Collision Warning, Autonomous Emergency Braking (AEB) and pedestrian monitoring. Volkswagen S with PURE WHITE exterior and TITAN BLACK CLOTH interior features a 4 Cylinder Engine with 147 HP at 5000 RPM*. EXCELLENT SAFETY FOR YOUR FAMILY Blind Spot Monitor, Cross-Traffic Alert, Electronic Stability Control, Brake Assist, 4-Wheel ABS, 4-Wheel Disc Brakes, Tire Pressure Monitoring System WHY BUY FROM US Welcome to Reeves Import Motorcars, a family owned and operated business since 1971. On behalf of our staff, thank you for visiting us on the Web and giving us an opportunity to acquaint you with our dealership. Our commitment to perfection is exceeded only by our resolve to offer you the highest levels of guest services in the luxury automotive industry. Our professional and well trained staff is ready to assist you with your new or pre-owned automotive needs. While every reasonable effort is made to ensure the accuracy of this information, we are not responsible for any errors or omissions contained on these pages. All offers are mutually exclusive. All vehicles subject to prior sale. Please verify any informa Horsepower calculations based on trim engine configuration. Please confirm the accuracy of the included equipment by calling us prior to purchase. S trim, PURE WHITE exterior and TITAN BLACK CLOTH interior. Smart Device Integration, Bluetooth, DRIVER ASSISTANCE PACKAGE, Alloy Wheels, Turbo, iPod/MP3 Input, Back-Up Camera. Warranty 6 yrs/72k Miles - Drivetrain Warranty; KEY FEATURES INCLUDE Back-Up Camera, Turbocharged, iPod/MP3 Input, Bluetooth, Smart Device Integration. MP3 Player, Aluminum Wheels, Keyless Entry, Child Safety Locks, Steering Wheel Controls. OPTION PACKAGES DRIVER ASSISTANCE PACKAGE Blind Spot Monitor w/Rear Traffic Alert, Heated Side Mirrors, Forward Collision Warning, Autonomous Emergency Braking (AEB) and pedestrian monitoring. Volkswagen S with PURE WHITE exterior and TITAN BLACK CLOTH interior features a 4 Cylinder Engine with 147 HP at 5000 RPM*. 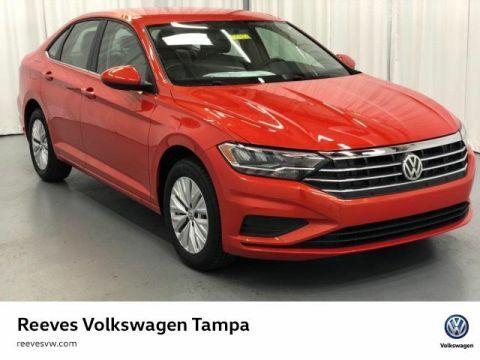 EXCELLENT SAFETY FOR YOUR FAMILY Blind Spot Monitor, Cross-Traffic Alert, Electronic Stability Control, Brake Assist, 4-Wheel ABS, 4-Wheel Disc Brakes, Tire Pressure Monitoring System WHO WE ARE Welcome to Reeves Import Motorcars, a family owned and operated business since 1971. On behalf of our staff, thank you for visiting us on the Web and giving us an opportunity to acquaint you with our dealership. Our commitment to perfection is exceeded only by our resolve to offer you the highest levels of guest services in the luxury automotive industry. Our professional and well trained staff is ready to assist you with your new or pre-owned automotive needs. While every reasonable effort is made to ensure the accuracy of this information, we are not responsible for any errors or omissions contained on these pages. All offers are mutually exclusive. All vehicles subject to prior sale. Please verify any informa Horsepower calculations based on trim engine configuration. Please confirm the accuracy of the included equipment by calling us prior to purchase. Smart Device Integration, Bluetooth, DRIVER ASSISTANCE PACKAGE, Alloy Wheels, Turbo, iPod/MP3 Input, Back-Up Camera. S trim, PLATINUM GRAY METALLIC exterior and TITAN BLACK CLOTH interior. Warranty 6 yrs/72k Miles - Drivetrain Warranty; KEY FEATURES INCLUDE Back-Up Camera, Turbocharged, iPod/MP3 Input, Bluetooth, Smart Device Integration MP3 Player, Aluminum Wheels, Keyless Entry, Child Safety Locks, Steering Wheel Controls. OPTION PACKAGES DRIVER ASSISTANCE PACKAGE Blind Spot Monitor w/Rear Traffic Alert, Heated Side Mirrors, Forward Collision Warning, Autonomous Emergency Braking (AEB) and pedestrian monitoring. 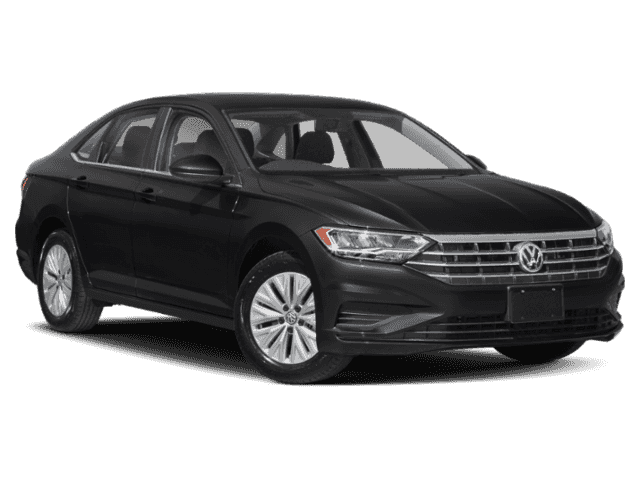 Volkswagen S with PLATINUM GRAY METALLIC exterior and TITAN BLACK CLOTH interior features a 4 Cylinder Engine with 147 HP at 5000 RPM*. EXCELLENT SAFETY FOR YOUR FAMILY Blind Spot Monitor, Cross-Traffic Alert, Electronic Stability Control, Brake Assist, 4-Wheel ABS, 4-Wheel Disc Brakes, Tire Pressure Monitoring System WHY BUY FROM US Welcome to Reeves Import Motorcars, a family owned and operated business since 1971. On behalf of our staff, thank you for visiting us on the Web and giving us an opportunity to acquaint you with our dealership. Our commitment to perfection is exceeded only by our resolve to offer you the highest levels of guest services in the luxury automotive industry. Our professional and well trained staff is ready to assist you with your new or pre-owned automotive needs. While every reasonable effort is made to ensure the accuracy of this information, we are not responsible for any errors or omissions contained on these pages. All offers are mutually exclusive. All vehicles subject to prior sale. Please verify any informa Horsepower calculations based on trim engine configuration. Please confirm the accuracy of the included equipment by calling us prior to purchase. S trim, PLATINUM GRAY METALLIC exterior and TITAN BLACK CLOTH interior. Bluetooth, Smart Device Integration, Alloy Wheels, DRIVER ASSISTANCE PACKAGE, Turbo, iPod/MP3 Input, Back-Up Camera. Warranty 6 yrs/72k Miles - Drivetrain Warranty; KEY FEATURES INCLUDE Back-Up Camera, Turbocharged, iPod/MP3 Input, Bluetooth, Smart Device Integration. MP3 Player, Aluminum Wheels, Keyless Entry, Child Safety Locks, Steering Wheel Controls. OPTION PACKAGES DRIVER ASSISTANCE PACKAGE Blind Spot Monitor w/Rear Traffic Alert, Heated Side Mirrors, Forward Collision Warning, Autonomous Emergency Braking (AEB) and pedestrian monitoring. Volkswagen S with PLATINUM GRAY METALLIC exterior and TITAN BLACK CLOTH interior features a 4 Cylinder Engine with 147 HP at 5000 RPM*. EXCELLENT SAFETY FOR YOUR FAMILY Blind Spot Monitor, Cross-Traffic Alert, Electronic Stability Control, Brake Assist, 4-Wheel ABS, 4-Wheel Disc Brakes, Tire Pressure Monitoring System BUY FROM AN AWARD WINNING DEALER Welcome to Reeves Import Motorcars, a family owned and operated business since 1971. On behalf of our staff, thank you for visiting us on the Web and giving us an opportunity to acquaint you with our dealership. Our commitment to perfection is exceeded only by our resolve to offer you the highest levels of guest services in the luxury automotive industry. Our professional and well trained staff is ready to assist you with your new or pre-owned automotive needs. While every reasonable effort is made to ensure the accuracy of this information, we are not responsible for any errors or omissions contained on these pages. All offers are mutually exclusive. All vehicles subject to prior sale. Please verify any informa Horsepower calculations based on trim engine configuration. Please confirm the accuracy of the included equipment by calling us prior to purchase. S trim, SILK BLUE METALLIC exterior and TITAN BLACK CLOTH interior. Smart Device Integration, Bluetooth, DRIVER ASSISTANCE PACKAGE, Alloy Wheels, Turbo, iPod/MP3 Input, Back-Up Camera. Warranty 6 yrs/72k Miles - Drivetrain Warranty; KEY FEATURES INCLUDE Back-Up Camera, Turbocharged, iPod/MP3 Input, Bluetooth, Smart Device Integration MP3 Player, Aluminum Wheels, Keyless Entry, Child Safety Locks, Steering Wheel Controls. OPTION PACKAGES DRIVER ASSISTANCE PACKAGE Blind Spot Monitor w/Rear Traffic Alert, Heated Side Mirrors, Forward Collision Warning, Autonomous Emergency Braking (AEB) and pedestrian monitoring. Volkswagen S with SILK BLUE METALLIC exterior and TITAN BLACK CLOTH interior features a 4 Cylinder Engine with 147 HP at 5000 RPM*. EXCELLENT SAFETY FOR YOUR FAMILY Blind Spot Monitor, Cross-Traffic Alert, Electronic Stability Control, Brake Assist, 4-Wheel ABS, 4-Wheel Disc Brakes, Tire Pressure Monitoring System OUR OFFERINGS Welcome to Reeves Import Motorcars, a family owned and operated business since 1971. On behalf of our staff, thank you for visiting us on the Web and giving us an opportunity to acquaint you with our dealership. Our commitment to perfection is exceeded only by our resolve to offer you the highest levels of guest services in the luxury automotive industry. Our professional and well trained staff is ready to assist you with your new or pre-owned automotive needs. While every reasonable effort is made to ensure the accuracy of this information, we are not responsible for any errors or omissions contained on these pages. All offers are mutually exclusive. All vehicles subject to prior sale. Please verify any informa Horsepower calculations based on trim engine configuration. Please confirm the accuracy of the included equipment by calling us prior to purchase. S trim, BLACK exterior and TITAN BLACK CLOTH interior. Smart Device Integration, Bluetooth, Alloy Wheels, DRIVER ASSISTANCE PACKAGE, Turbo, iPod/MP3 Input, Back-Up Camera. Warranty 6 yrs/72k Miles - Drivetrain Warranty; KEY FEATURES INCLUDE Back-Up Camera, Turbocharged, iPod/MP3 Input, Bluetooth, Smart Device Integration MP3 Player, Aluminum Wheels, Keyless Entry, Child Safety Locks, Steering Wheel Controls. OPTION PACKAGES DRIVER ASSISTANCE PACKAGE Blind Spot Monitor w/Rear Traffic Alert, Heated Side Mirrors, Forward Collision Warning, Autonomous Emergency Braking (AEB) and pedestrian monitoring. Volkswagen S with BLACK exterior and TITAN BLACK CLOTH interior features a 4 Cylinder Engine with 147 HP at 5000 RPM*. EXCELLENT SAFETY FOR YOUR FAMILY Blind Spot Monitor, Cross-Traffic Alert, Electronic Stability Control, Brake Assist, 4-Wheel ABS, 4-Wheel Disc Brakes, Tire Pressure Monitoring System WHY BUY FROM US Welcome to Reeves Import Motorcars, a family owned and operated business since 1971. On behalf of our staff, thank you for visiting us on the Web and giving us an opportunity to acquaint you with our dealership. Our commitment to perfection is exceeded only by our resolve to offer you the highest levels of guest services in the luxury automotive industry. Our professional and well trained staff is ready to assist you with your new or pre-owned automotive needs. While every reasonable effort is made to ensure the accuracy of this information, we are not responsible for any errors or omissions contained on these pages. All offers are mutually exclusive. All vehicles subject to prior sale. Please verify any informa Horsepower calculations based on trim engine configuration. Please confirm the accuracy of the included equipment by calling us prior to purchase. Smart Device Integration, Bluetooth, DRIVER ASSISTANCE PACKAGE, Aluminum Wheels, Turbo Charged, iPod/MP3 Input, Back-Up Camera. HABANERO ORANGE exterior and STORM GRAY CLOTH interior, S trim. Warranty 6 yrs/72k Miles - Drivetrain Warranty; KEY FEATURES INCLUDE Back-Up Camera, Turbocharged, iPod/MP3 Input, Bluetooth, Smart Device Integration MP3 Player, Aluminum Wheels, Keyless Entry, Child Safety Locks, Steering Wheel Controls. OPTION PACKAGES DRIVER ASSISTANCE PACKAGE Blind Spot Monitor w/Rear Traffic Alert, Heated Side Mirrors, Forward Collision Warning, Autonomous Emergency Braking (AEB) and pedestrian monitoring. Volkswagen S with HABANERO ORANGE exterior and STORM GRAY CLOTH interior features a 4 Cylinder Engine with 147 HP at 5000 RPM*. 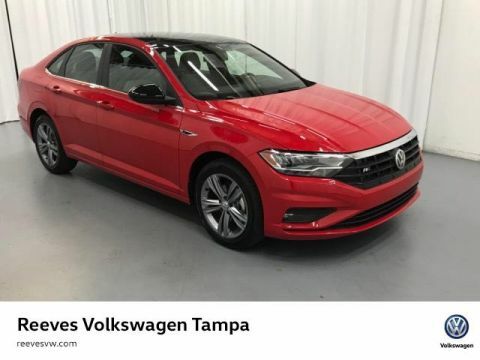 EXCELLENT SAFETY FOR YOUR FAMILY Blind Spot Monitor, Cross-Traffic Alert, Electronic Stability Control, Brake Assist, 4-Wheel ABS, 4-Wheel Disc Brakes, Tire Pressure Monitoring System WHO WE ARE Welcome to Reeves Import Motorcars, a family owned and operated business since 1971. On behalf of our staff, thank you for visiting us on the Web and giving us an opportunity to acquaint you with our dealership. Our commitment to perfection is exceeded only by our resolve to offer you the highest levels of guest services in the luxury automotive industry. Our professional and well trained staff is ready to assist you with your new or pre-owned automotive needs. While every reasonable effort is made to ensure the accuracy of this information, we are not responsible for any errors or omissions contained on these pages. All offers are mutually exclusive. All vehicles subject to prior sale. Please verify any informa Horsepower calculations based on trim engine configuration. Please confirm the accuracy of the included equipment by calling us prior to purchase. 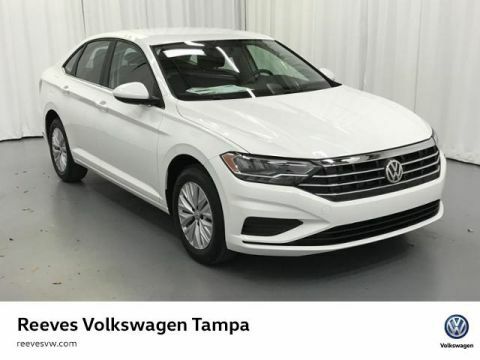 Sunroof, Heated Seats, Cross-Traffic Alert, Blind Spot Monitor, Brake Actuated Limited Slip Differential, Turbo Charged, Back-Up Camera, R-LINE COLD WEATHER PACKAGE, Alloy Wheels, Smart Device Integration, Dual Zone A/C, iPod/MP3 Input, Bluetooth. TORNADO RED exterior and BLACK/GRAY LEATHERETTE interior, R-Line trim. Warranty 6 yrs/72k Miles - Drivetrain Warranty; KEY FEATURES INCLUDE Heated Driver Seat, Back-Up Camera, Turbocharged, iPod/MP3 Input, Bluetooth, Dual Zone A/C, Smart Device Integration, Cross-Traffic Alert, Blind Spot Monitor, Brake Actuated Limited Slip Differential, Heated Seats MP3 Player, Sunroof, Aluminum Wheels, Keyless Entry, Steering Wheel Controls. 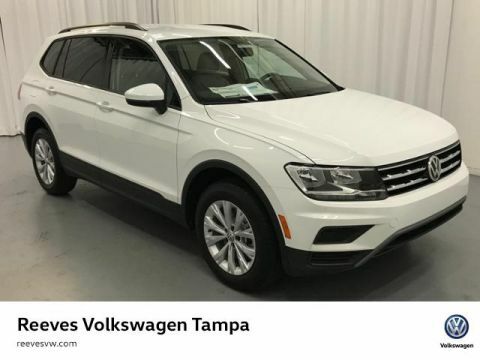 OPTION PACKAGES R-LINE COLD WEATHER PACKAGE Heated R-Line Steering Wheel, Heated Rear Outboard Seating Positions, Remote Engine Start w/Remote Key Fob, Heated Front Washer Nozzles, Lower Windshield Heated Wiper Area, Washer Fluid Level Indicator. 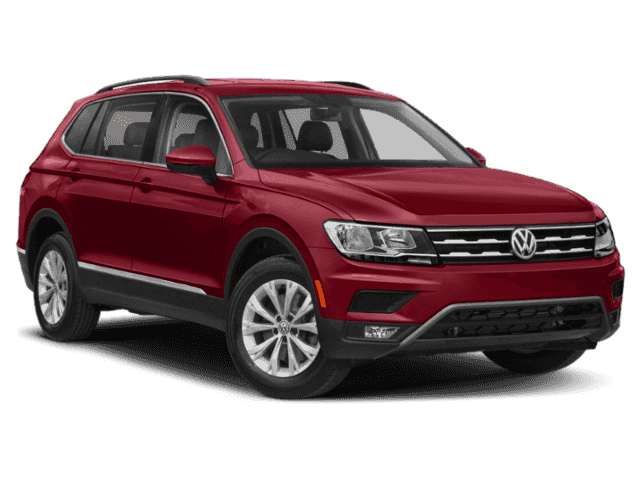 Volkswagen R-Line with TORNADO RED exterior and BLACK/GRAY LEATHERETTE interior features a 4 Cylinder Engine with 147 HP at 5000 RPM*. WHY BUY FROM US Welcome to Reeves Import Motorcars, a family owned and operated business since 1971. On behalf of our staff, thank you for visiting us on the Web and giving us an opportunity to acquaint you with our dealership. Our commitment to perfection is exceeded only by our resolve to offer you the highest levels of guest services in the luxury automotive industry. Our professional and well trained staff is ready to assist you with your new or pre-owned automotive needs. While every reasonable effort is made to ensure the accuracy of this information, we are not responsible for any errors or omissions contained on these pages. All offers are mutually exclusive. All vehicles subject to prior sale. Please verify any informa Horsepower calculations based on trim engine configuration. Please confirm the accuracy of the included equipment by calling us prior to purchase. 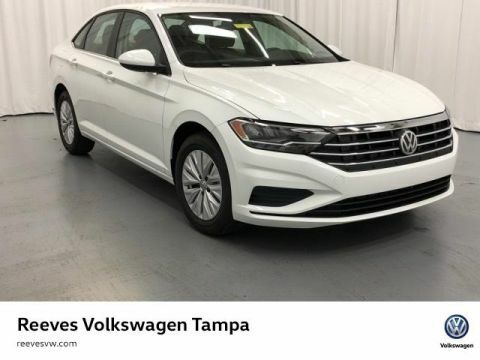 Heated Seats, Moonroof, Cross-Traffic Alert, Blind Spot Monitor, Brake Actuated Limited Slip Differential, Turbo Charged, Back-Up Camera, R-LINE COLD WEATHER PACKAGE, Aluminum Wheels, Smart Device Integration, Dual Zone A/C, iPod/MP3 Input, Bluetooth. TORNADO RED exterior and BLACK/GRAY LEATHERETTE interior, R-Line trim. Warranty 6 yrs/72k Miles - Drivetrain Warranty; KEY FEATURES INCLUDE Heated Driver Seat, Back-Up Camera, Turbocharged, iPod/MP3 Input, Bluetooth, Dual Zone A/C, Smart Device Integration, Cross-Traffic Alert, Blind Spot Monitor, Brake Actuated Limited Slip Differential, Heated Seats. MP3 Player, Sunroof, Aluminum Wheels, Keyless Entry, Steering Wheel Controls. 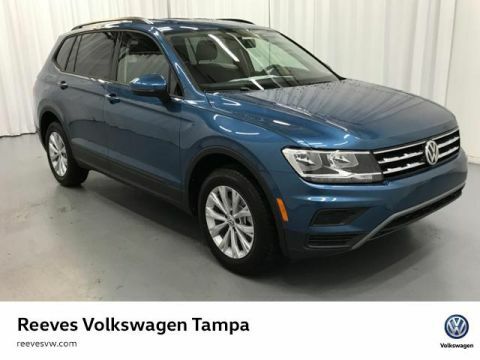 OPTION PACKAGES R-LINE COLD WEATHER PACKAGE Heated R-Line Steering Wheel, Heated Rear Outboard Seating Positions, Remote Engine Start w/Remote Key Fob, Heated Front Washer Nozzles, Lower Windshield Heated Wiper Area, Washer Fluid Level Indicator. 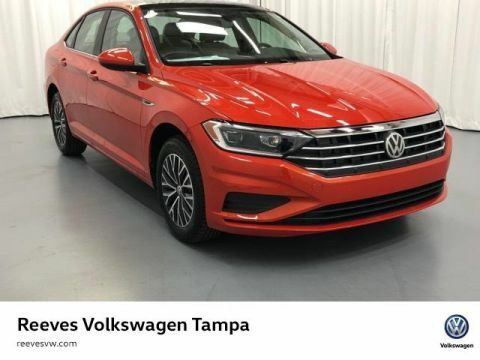 Volkswagen R-Line with TORNADO RED exterior and BLACK/GRAY LEATHERETTE interior features a 4 Cylinder Engine with 147 HP at 5000 RPM*. WHO WE ARE Welcome to Reeves Import Motorcars, a family owned and operated business since 1971. On behalf of our staff, thank you for visiting us on the Web and giving us an opportunity to acquaint you with our dealership. Our commitment to perfection is exceeded only by our resolve to offer you the highest levels of guest services in the luxury automotive industry. Our professional and well trained staff is ready to assist you with your new or pre-owned automotive needs. While every reasonable effort is made to ensure the accuracy of this information, we are not responsible for any errors or omissions contained on these pages. All offers are mutually exclusive. All vehicles subject to prior sale. Please verify any informa Horsepower calculations based on trim engine configuration. Please confirm the accuracy of the included equipment by calling us prior to purchase. 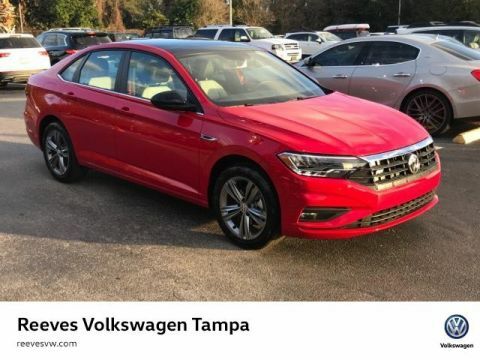 Moonroof, Heated Seats, Keyless Start, Dual Zone A/C, Turbo Charged Engine, Aluminum Wheels, ROADSIDE ASSISTANCE KIT, Back-Up Camera, Satellite Radio, iPod/MP3 Input, Premium Sound System. SEL trim, TORNADO RED exterior and DARK BEIGE LEATHERETTE interior. Warranty 6 yrs/72k Miles - Drivetrain Warranty; KEY FEATURES INCLUDE Heated Driver Seat, Back-Up Camera, Turbocharged, Premium Sound System, Satellite Radio, iPod/MP3 Input, Keyless Start, Dual Zone A/C, Heated Seats. MP3 Player, Sunroof, Onboard Communications System, Aluminum Wheels, Keyless Entry. OPTION PACKAGES ROADSIDE ASSISTANCE KIT booster cables, warning triangle, work gloves, LED flashlight, PVC tape, multi-tool, blanket, poncho, whistle, cable ties and bandages. Volkswagen SEL with TORNADO RED exterior and DARK BEIGE LEATHERETTE interior features a 4 Cylinder Engine with 147 HP at 5000 RPM*. EXCELLENT SAFETY FOR YOUR FAMILY Child Safety Locks, Electronic Stability Control, Brake Assist, 4-Wheel ABS, 4-Wheel Disc Brakes, Tire Pressure Monitoring System OUR OFFERINGS Welcome to Reeves Import Motorcars, a family owned and operated business since 1971. On behalf of our staff, thank you for visiting us on the Web and giving us an opportunity to acquaint you with our dealership. Our commitment to perfection is exceeded only by our resolve to offer you the highest levels of guest services in the luxury automotive industry. Our professional and well trained staff is ready to assist you with your new or pre-owned automotive needs. All prices exclude any government fees or taxes,titling and registration fees, any finance charges, fees, or taxes, and a $596.20 Pre-Delivery Service Charge. Prices may include incentives dependent upon payment or purchase method. Horsepower calculations Horsepower calculations based on trim engine configuration. Please confirm the accuracy of the included equipment by calling us prior to purchase. 3rd Row Seat, Smart Device Integration, Bluetooth, DRIVER ASSISTANCE PACKAGE, Alloy Wheels, Turbo Charged, iPod/MP3 Input, Back-Up Camera. S trim, PLATINUM GRAY METALLIC exterior and GRAY CLOTH interior. Warranty 6 yrs/72k Miles - Drivetrain Warranty; KEY FEATURES INCLUDE Third Row Seat, Back-Up Camera, Turbocharged, iPod/MP3 Input, Bluetooth, Smart Device Integration Rear Spoiler, MP3 Player, Aluminum Wheels, Privacy Glass, Keyless Entry. OPTION PACKAGES DRIVER ASSISTANCE PACKAGE Blind Spot Monitor w/Rear Traffic Alert, Forward Collision Warning, autonomous emergency braking w/pedestrian monitoring (front assist). 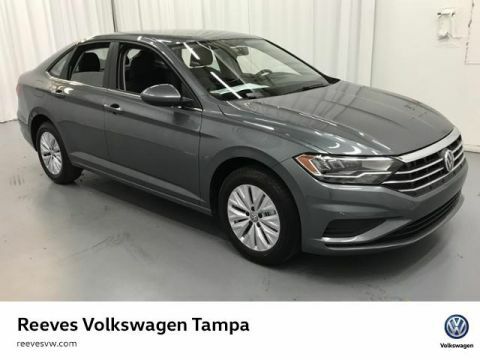 Volkswagen S with PLATINUM GRAY METALLIC exterior and GRAY CLOTH interior features a 4 Cylinder Engine with 184 HP at 4400 RPM*. EXCELLENT SAFETY FOR YOUR FAMILY Blind Spot Monitor, Child Safety Locks, Electronic Stability Control, Brake Assist, 4-Wheel ABS, Tire Pressure Monitoring System, 4-Wheel Disc Brakes WHO WE ARE Welcome to Reeves Import Motorcars, a family owned and operated business since 1971. On behalf of our staff, thank you for visiting us on the Web and giving us an opportunity to acquaint you with our dealership. Our commitment to perfection is exceeded only by our resolve to offer you the highest levels of guest services in the luxury automotive industry. Our professional and well trained staff is ready to assist you with your new or pre-owned automotive needs. While every reasonable effort is made to ensure the accuracy of this information, we are not responsible for any errors or omissions contained on these pages. All offers are mutually exclusive. All vehicles subject to prior sale. Please verify any informa Horsepower calculations based on trim engine configuration. Please confirm the accuracy of the included equipment by calling us prior to purchase. Third Row Seat, Smart Device Integration, Bluetooth, DRIVER ASSISTANCE PACKAGE, Aluminum Wheels, Turbo Charged Engine, iPod/MP3 Input, Back-Up Camera. S trim, PURE WHITE exterior and GRAY CLOTH interior. Warranty 6 yrs/72k Miles - Drivetrain Warranty; KEY FEATURES INCLUDE Third Row Seat, Back-Up Camera, Turbocharged, iPod/MP3 Input, Bluetooth, Smart Device Integration. Rear Spoiler, MP3 Player, Aluminum Wheels, Keyless Entry, Privacy Glass. OPTION PACKAGES DRIVER ASSISTANCE PACKAGE Blind Spot Monitor w/Rear Traffic Alert, Forward Collision Warning, autonomous emergency braking w/pedestrian monitoring (front assist). 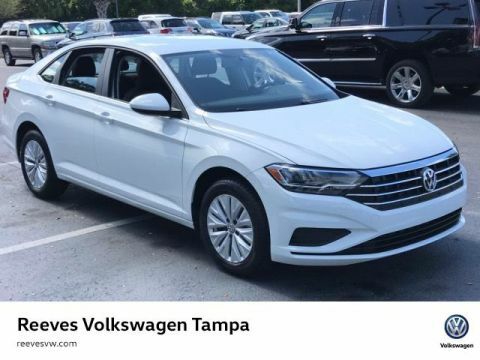 Volkswagen S with PURE WHITE exterior and GRAY CLOTH interior features a 4 Cylinder Engine with 184 HP at 4400 RPM*. 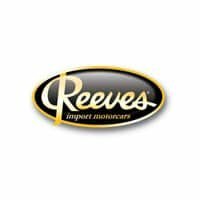 EXCELLENT SAFETY FOR YOUR FAMILY Blind Spot Monitor, Child Safety Locks, Electronic Stability Control, Brake Assist, 4-Wheel ABS, Tire Pressure Monitoring System, 4-Wheel Disc Brakes OUR OFFERINGS Welcome to Reeves Import Motorcars, a family owned and operated business since 1971. On behalf of our staff, thank you for visiting us on the Web and giving us an opportunity to acquaint you with our dealership. Our commitment to perfection is exceeded only by our resolve to offer you the highest levels of guest services in the luxury automotive industry. Our professional and well trained staff is ready to assist you with your new or pre-owned automotive needs. All prices exclude any government fees or taxes,titling and registration fees, any finance charges, fees, or taxes, and a $596.20 Pre-Delivery Service Charge. Prices may include incentives dependent upon payment or purchase method. Horsepower calculations Horsepower calculations based on trim engine configuration. Please confirm the accuracy of the included equipment by calling us prior to purchase. 3rd Row Seat, Smart Device Integration, Bluetooth, DRIVER ASSISTANCE PACKAGE, Alloy Wheels, Turbo, iPod/MP3 Input, Back-Up Camera. SILK BLUE METALLIC exterior and GRAY CLOTH interior, S trim. Warranty 6 yrs/72k Miles - Drivetrain Warranty; KEY FEATURES INCLUDE Third Row Seat, Back-Up Camera, Turbocharged, iPod/MP3 Input, Bluetooth, Smart Device Integration Rear Spoiler, MP3 Player, Aluminum Wheels, Keyless Entry, Privacy Glass. OPTION PACKAGES DRIVER ASSISTANCE PACKAGE Blind Spot Monitor w/Rear Traffic Alert, Forward Collision Warning, autonomous emergency braking w/pedestrian monitoring (front assist). 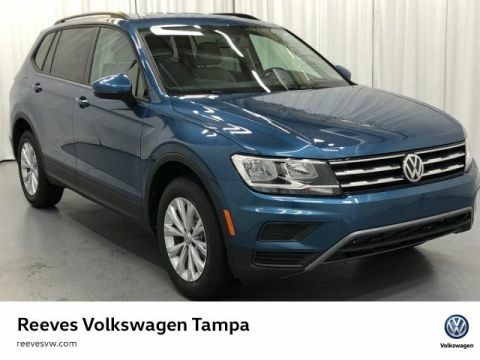 Volkswagen S with SILK BLUE METALLIC exterior and GRAY CLOTH interior features a 4 Cylinder Engine with 184 HP at 4400 RPM*. EXCELLENT SAFETY FOR YOUR FAMILY Blind Spot Monitor, Child Safety Locks, Electronic Stability Control, Brake Assist, 4-Wheel ABS, Tire Pressure Monitoring System, 4-Wheel Disc Brakes BUY FROM AN AWARD WINNING DEALER Welcome to Reeves Import Motorcars, a family owned and operated business since 1971. On behalf of our staff, thank you for visiting us on the Web and giving us an opportunity to acquaint you with our dealership. Our commitment to perfection is exceeded only by our resolve to offer you the highest levels of guest services in the luxury automotive industry. Our professional and well trained staff is ready to assist you with your new or pre-owned automotive needs. While every reasonable effort is made to ensure the accuracy of this information, we are not responsible for any errors or omissions contained on these pages. All offers are mutually exclusive. All vehicles subject to prior sale. Please verify any informa Horsepower calculations based on trim engine configuration. Please confirm the accuracy of the included equipment by calling us prior to purchase. Third Row Seat, Smart Device Integration, Bluetooth, DRIVER ASSISTANCE PACKAGE, Aluminum Wheels, Turbo Charged Engine, iPod/MP3 Input, Back-Up Camera. S trim, SILK BLUE METALLIC exterior and TITAN BLACK CLOTH interior. Warranty 6 yrs/72k Miles - Drivetrain Warranty; KEY FEATURES INCLUDE Third Row Seat, Back-Up Camera, Turbocharged, iPod/MP3 Input, Bluetooth, Smart Device Integration. Rear Spoiler, MP3 Player, Aluminum Wheels, Privacy Glass, Keyless Entry. OPTION PACKAGES DRIVER ASSISTANCE PACKAGE Blind Spot Monitor w/Rear Traffic Alert, Forward Collision Warning, autonomous emergency braking w/pedestrian monitoring (front assist). 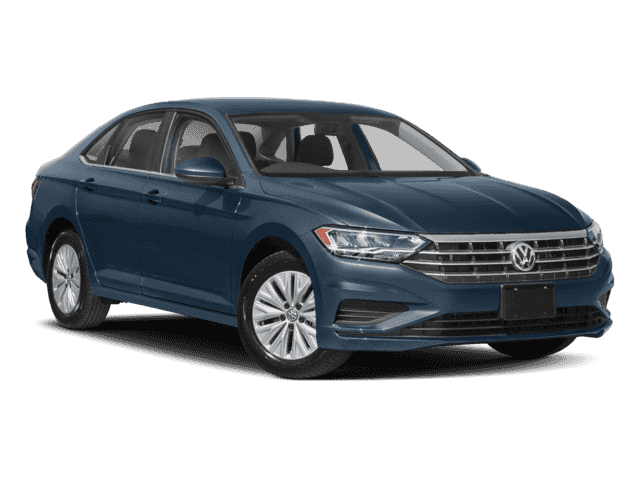 Volkswagen S with SILK BLUE METALLIC exterior and TITAN BLACK CLOTH interior features a 4 Cylinder Engine with 184 HP at 4400 RPM*. EXCELLENT SAFETY FOR YOUR FAMILY Blind Spot Monitor, Child Safety Locks, Electronic Stability Control, Brake Assist, 4-Wheel ABS, Tire Pressure Monitoring System, 4-Wheel Disc Brakes OUR OFFERINGS Welcome to Reeves Import Motorcars, a family owned and operated business since 1971. On behalf of our staff, thank you for visiting us on the Web and giving us an opportunity to acquaint you with our dealership. Our commitment to perfection is exceeded only by our resolve to offer you the highest levels of guest services in the luxury automotive industry. Our professional and well trained staff is ready to assist you with your new or pre-owned automotive needs. While every reasonable effort is made to ensure the accuracy of this information, we are not responsible for any errors or omissions contained on these pages. All offers are mutually exclusive. All vehicles subject to prior sale. Please verify any informa Horsepower calculations based on trim engine configuration. Please confirm the accuracy of the included equipment by calling us prior to purchase. Third Row Seat, Smart Device Integration, Bluetooth, DRIVER ASSISTANCE PACKAGE, Aluminum Wheels, Turbo Charged Engine, iPod/MP3 Input, Back-Up Camera. S trim, DEEP BLACK PEARL EFFECT exterior and TITAN BLACK CLOTH interior. Warranty 6 yrs/72k Miles - Drivetrain Warranty; KEY FEATURES INCLUDE Third Row Seat, Back-Up Camera, Turbocharged, iPod/MP3 Input, Bluetooth, Smart Device Integration Rear Spoiler, MP3 Player, Aluminum Wheels, Privacy Glass, Keyless Entry. OPTION PACKAGES DRIVER ASSISTANCE PACKAGE Blind Spot Monitor w/Rear Traffic Alert, Forward Collision Warning, autonomous emergency braking w/pedestrian monitoring (front assist). Volkswagen S with DEEP BLACK PEARL EFFECT exterior and TITAN BLACK CLOTH interior features a 4 Cylinder Engine with 184 HP at 4400 RPM*. EXCELLENT SAFETY FOR YOUR FAMILY Blind Spot Monitor, Child Safety Locks, Electronic Stability Control, Brake Assist, 4-Wheel ABS, Tire Pressure Monitoring System, 4-Wheel Disc Brakes VISIT US TODAY Welcome to Reeves Import Motorcars, a family owned and operated business since 1971. On behalf of our staff, thank you for visiting us on the Web and giving us an opportunity to acquaint you with our dealership. Our commitment to perfection is exceeded only by our resolve to offer you the highest levels of guest services in the luxury automotive industry. Our professional and well trained staff is ready to assist you with your new or pre-owned automotive needs. While every reasonable effort is made to ensure the accuracy of this information, we are not responsible for any errors or omissions contained on these pages. All offers are mutually exclusive. All vehicles subject to prior sale. Please verify any informa Horsepower calculations based on trim engine configuration. Please confirm the accuracy of the included equipment by calling us prior to purchase. 3rd Row Seat, Smart Device Integration, Bluetooth, DRIVER ASSISTANCE PACKAGE, Alloy Wheels, Turbo Charged, iPod/MP3 Input, Back-Up Camera. MOSS GREEN exterior and TITAN BLACK CLOTH interior, S trim. Warranty 6 yrs/72k Miles - Drivetrain Warranty; KEY FEATURES INCLUDE Third Row Seat, Back-Up Camera, Turbocharged, iPod/MP3 Input, Bluetooth, Smart Device Integration. Rear Spoiler, MP3 Player, Aluminum Wheels, Privacy Glass, Keyless Entry. OPTION PACKAGES DRIVER ASSISTANCE PACKAGE Blind Spot Monitor w/Rear Traffic Alert, Forward Collision Warning, autonomous emergency braking w/pedestrian monitoring (front assist). Volkswagen S with MOSS GREEN exterior and TITAN BLACK CLOTH interior features a 4 Cylinder Engine with 184 HP at 4400 RPM*. EXCELLENT SAFETY FOR YOUR FAMILY Blind Spot Monitor, Child Safety Locks, Electronic Stability Control, Brake Assist, 4-Wheel ABS, Tire Pressure Monitoring System, 4-Wheel Disc Brakes MORE ABOUT US Welcome to Reeves Import Motorcars, a family owned and operated business since 1971. On behalf of our staff, thank you for visiting us on the Web and giving us an opportunity to acquaint you with our dealership. Our commitment to perfection is exceeded only by our resolve to offer you the highest levels of guest services in the luxury automotive industry. Our professional and well trained staff is ready to assist you with your new or pre-owned automotive needs. While every reasonable effort is made to ensure the accuracy of this information, we are not responsible for any errors or omissions contained on these pages. All offers are mutually exclusive. All vehicles subject to prior sale. Please verify any informa Horsepower calculations based on trim engine configuration. Please confirm the accuracy of the included equipment by calling us prior to purchase. 3rd Row Seat, Smart Device Integration, Bluetooth, DRIVER ASSISTANCE PACKAGE, Alloy Wheels, Turbo Charged, iPod/MP3 Input, Back-Up Camera. S trim, MOSS GREEN exterior and TITAN BLACK CLOTH interior. Warranty 6 yrs/72k Miles - Drivetrain Warranty; KEY FEATURES INCLUDE Third Row Seat, Back-Up Camera, Turbocharged, iPod/MP3 Input, Bluetooth, Smart Device Integration Rear Spoiler, MP3 Player, Aluminum Wheels, Privacy Glass, Keyless Entry. OPTION PACKAGES DRIVER ASSISTANCE PACKAGE Blind Spot Monitor w/Rear Traffic Alert, Forward Collision Warning, autonomous emergency braking w/pedestrian monitoring (front assist). 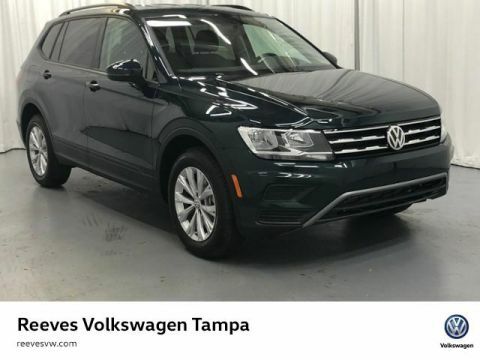 Volkswagen S with MOSS GREEN exterior and TITAN BLACK CLOTH interior features a 4 Cylinder Engine with 184 HP at 4400 RPM*. EXCELLENT SAFETY FOR YOUR FAMILY Blind Spot Monitor, Child Safety Locks, Electronic Stability Control, Brake Assist, 4-Wheel ABS, Tire Pressure Monitoring System, 4-Wheel Disc Brakes BUY FROM AN AWARD WINNING DEALER Welcome to Reeves Import Motorcars, a family owned and operated business since 1971. On behalf of our staff, thank you for visiting us on the Web and giving us an opportunity to acquaint you with our dealership. Our commitment to perfection is exceeded only by our resolve to offer you the highest levels of guest services in the luxury automotive industry. Our professional and well trained staff is ready to assist you with your new or pre-owned automotive needs. While every reasonable effort is made to ensure the accuracy of this information, we are not responsible for any errors or omissions contained on these pages. All offers are mutually exclusive. All vehicles subject to prior sale. Please verify any informa Horsepower calculations based on trim engine configuration. Please confirm the accuracy of the included equipment by calling us prior to purchase. 3rd Row Seat, Bluetooth, Smart Device Integration, Alloy Wheels, DRIVER ASSISTANCE PACKAGE, Turbo, iPod/MP3 Input, Back-Up Camera. S trim, CARDINAL RED exterior and GRAY CLOTH interior. Warranty 6 yrs/72k Miles - Drivetrain Warranty; KEY FEATURES INCLUDE Third Row Seat, Back-Up Camera, Turbocharged, iPod/MP3 Input, Bluetooth, Smart Device Integration. Rear Spoiler, MP3 Player, Aluminum Wheels, Privacy Glass, Keyless Entry. OPTION PACKAGES DRIVER ASSISTANCE PACKAGE Blind Spot Monitor w/Rear Traffic Alert, Forward Collision Warning, autonomous emergency braking w/pedestrian monitoring (front assist). 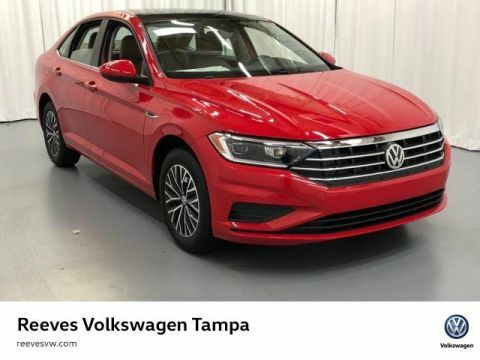 Volkswagen S with CARDINAL RED exterior and GRAY CLOTH interior features a 4 Cylinder Engine with 184 HP at 4400 RPM*. EXCELLENT SAFETY FOR YOUR FAMILY Blind Spot Monitor, Child Safety Locks, Electronic Stability Control, Brake Assist, 4-Wheel ABS, Tire Pressure Monitoring System, 4-Wheel Disc Brakes WHO WE ARE Welcome to Reeves Import Motorcars, a family owned and operated business since 1971. On behalf of our staff, thank you for visiting us on the Web and giving us an opportunity to acquaint you with our dealership. Our commitment to perfection is exceeded only by our resolve to offer you the highest levels of guest services in the luxury automotive industry. Our professional and well trained staff is ready to assist you with your new or pre-owned automotive needs. While every reasonable effort is made to ensure the accuracy of this information, we are not responsible for any errors or omissions contained on these pages. All offers are mutually exclusive. All vehicles subject to prior sale. Please verify any informa Horsepower calculations based on trim engine configuration. Please confirm the accuracy of the included equipment by calling us prior to purchase. 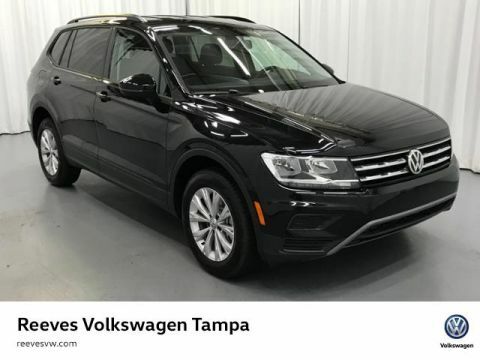 Heated Seats, Moonroof, Blind Spot Monitor, Cross-Traffic Alert, Lane Keeping Assist, Back-Up Camera, Premium Sound System, Aluminum Wheels, Turbo Charged, Dual Zone A/C, Keyless Start, Satellite Radio, iPod/MP3 Input. SEL trim, HABANERO ORANGE exterior and STORM GRAY LEATHERETTE interior. Warranty 6 yrs/72k Miles - Drivetrain Warranty; KEY FEATURES INCLUDE Heated Driver Seat, Back-Up Camera, Turbocharged, Premium Sound System, Satellite Radio, iPod/MP3 Input, Keyless Start, Dual Zone A/C, Blind Spot Monitor, Cross-Traffic Alert, Lane Keeping Assist, Smart Device Integration, Heated Seats MP3 Player, Sunroof, Onboard Communications System, Aluminum Wheels, Keyless Entry. Volkswagen SEL with HABANERO ORANGE exterior and STORM GRAY LEATHERETTE interior features a 4 Cylinder Engine with 147 HP at 5000 RPM*. EXCELLENT SAFETY FOR YOUR FAMILY Child Safety Locks, Electronic Stability Control, Brake Assist, 4-Wheel ABS, Tire Pressure Monitoring System, 4-Wheel Disc Brakes BUY FROM AN AWARD WINNING DEALER Welcome to Reeves Import Motorcars, a family owned and operated business since 1971. On behalf of our staff, thank you for visiting us on the Web and giving us an opportunity to acquaint you with our dealership. Our commitment to perfection is exceeded only by our resolve to offer you the highest levels of guest services in the luxury automotive industry. Our professional and well trained staff is ready to assist you with your new or pre-owned automotive needs. While every reasonable effort is made to ensure the accuracy of this information, we are not responsible for any errors or omissions contained on these pages. All offers are mutually exclusive. All vehicles subject to prior sale. Please verify any informa Horsepower calculations based on trim engine configuration. Please confirm the accuracy of the included equipment by calling us prior to purchase.